In Fall 2018, Be Interactive selected Florence Crittenton Services as a recipient of our Education Grant. They applied with a mission to expand and enhance their Art Therapy for Teen Moms program by purchasing supplies and professionally displaying the work of teen mothers in their program. 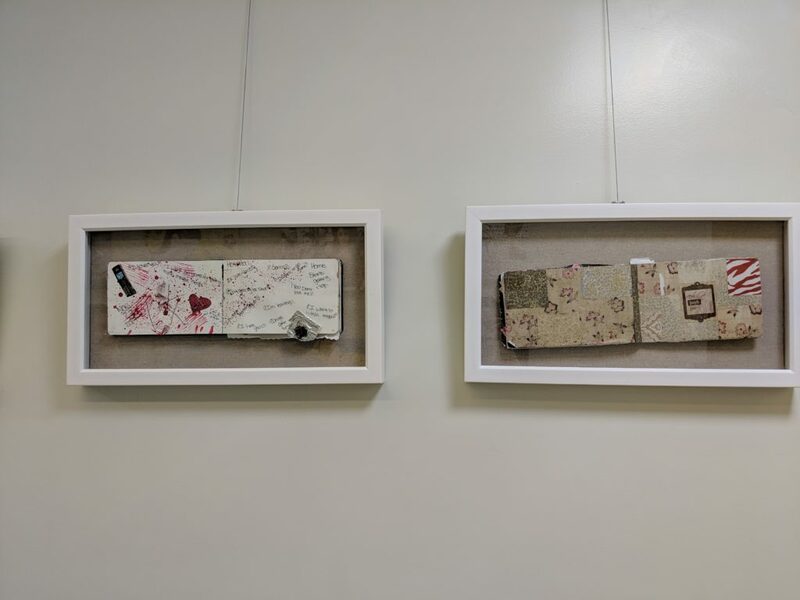 As you enter the front door of the Florence Crittenton High School, the once bare walls are now transformed into a gallery of our young mom’s heartfelt artwork. The core purpose of the work of this grant was to foster discussion and understanding between our young mothers and the high school teachers, staff members, and campus visitors. High school teachers and staff are tasked with preparing our moms for post-secondary success, and often do not see first-hand the personal struggles our students experience and how those experiences impact how they learn. Young mothers are more likely to be exposed to traumatic events such as intimate partner violence, abuse, neglect, incarceration, and traumatic loss and are more vulnerable to psychological distress, post-traumatic stress disorder, and depression. 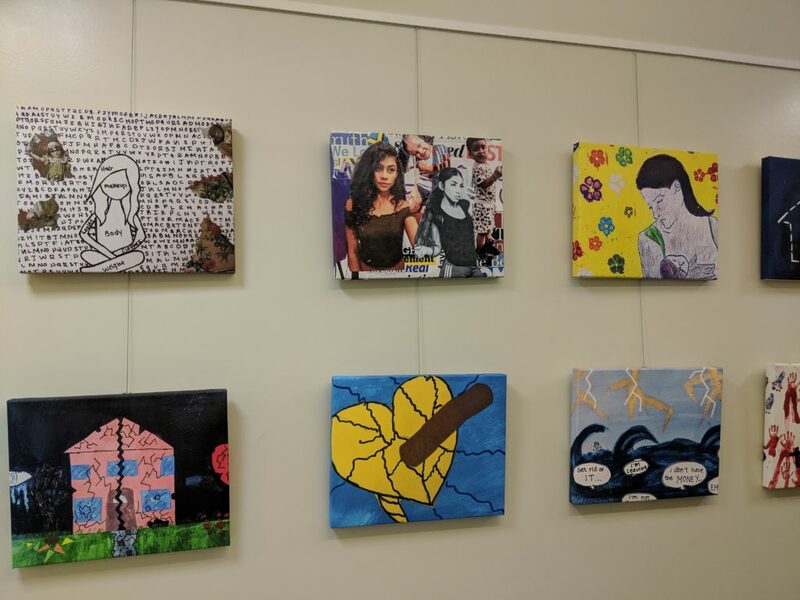 Thanks to work of the grant from Be Interactive, teachers and staff have the opportunity to see the vulnerability and resiliency of our teen mothers that is evident in their reflective artwork—bringing those relationships closer together and making teaching easier and more accessible. Additionally, funding from Be Interactive made it possible to purchase essential art supplies for the Art Therapy curriculum. MoleSkine watercolor notebooks, quality paint, brushes, colored pencils, and collage materials were all purchased to be used in crafting “Art-O- Biographies”. Donica Snyder (a counselor and family advocate who applied for the grant) expressed gratitude and delight in being able to purchase these items, she was even able to take requests from teen mothers on supplies they would like to have available for use in the classroom. 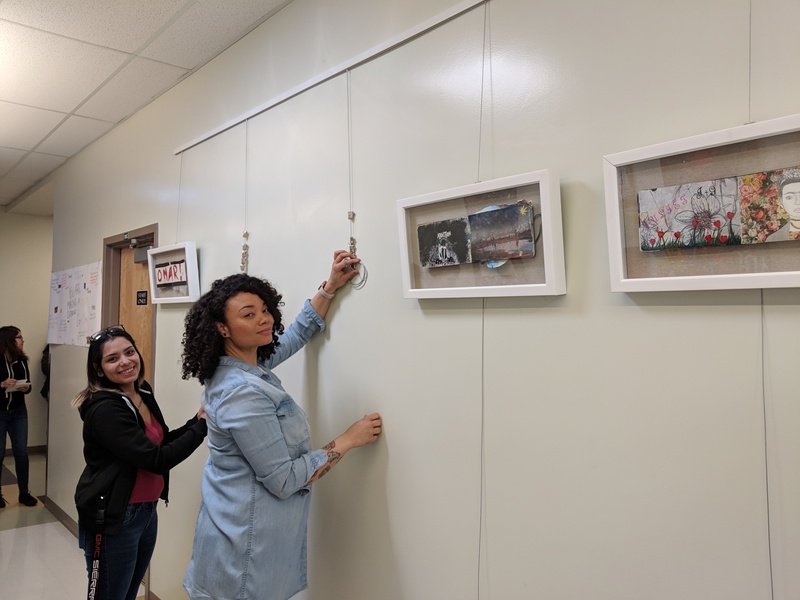 Florence Crittenton Services offers sincere appreciation to Be Interactive for funding our Art Therapy for Teen Mothers program and display project. The resulting work, serves as a sense of pride and accomplishment for our young moms, while accomplishing the goal of creating a safe space for our young moms to share and discuss their personal struggles and experiences with the larger Florence Crittenton community. Florence Crittenton Services (“FloCrit”) is a Denver nonprofit with the mission to educate, prepare, and empower teen mothers and their children to become productive members of the community. For over 125 years we have supported many of the community’s most vulnerable families. FloCrit creates cycles of success for teen mothers and their children through a two-generation approach that includes education, health and wellness, and social-emotional support. During this past fiscal year, we served 221 teen mothers and 188 young children, and achieved a 75% graduation rate among eligible seniors in our community—doubling the national rate for girls who become mothers by age 18. Our services are designed to address the needs of the whole family through an asset- based, trauma-responsive lens. Our campus is a family resource center that includes an Early Childhood Education Center, the Alethia E. Morgan, MD Health Center, and, through our 35-year partnership with Denver Public Schools (DPS), the on-site Florence Crittenton High School. In addition, our Student and Family Support Program (SFSP) is a team of Family Advocates that provide customized case-management and wraparound services to teen mothers and their children, including our very own Art Therapy for Teen Mothers program.